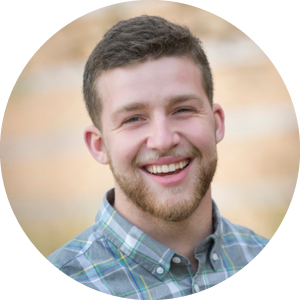 As part of his first semester within Cultivate, Kyle joined a men’s group, went to a weekly class designed to deepen his understanding of faith topics, met one on one with a mentor, and surveyed the opportunities available through campus organizations and ministries that would help grow God’s Kingdom. While exploring those various organizations, Kyle found that one organization really captured his heart: International Oasis. In 2014, Cultivate helped launch International Oasis, a non-profit organization that exists to provide physical, emotional, and spiritual support to international students in order to inspire and equip them to meet the needs of the global poor. It is an organization that puts a huge priority on friendship; all of the services offered have started because a Cultivate member’s relationship with an international student necessitated that service. One of the hallmark services that International Oasis provides to international students is free furniture with delivery, to help them when they acclimate to life in the United States and don’t have beds, couches, tables, desks, etc. For 2 months, Kyle helped as a volunteer on various moves. Then, in January 2017, Kyle took on the role of Furniture Delivery Coordinator with International Oasis, becoming responsible for volunteer coordination, donation pickup, stock management, and order fulfillment. Over the last 11 months, Kyle has turned website orders and deliveries into loving interactions and genuine friendships. His influence with brilliant students from all over the world is remarkable, and he has developed a special fondness for the Chinese students who call Oakland home. It is common for Kyle to meet individually and in groups with over 20 Chinese students in a week’s time outside of class and multiple jobs he works. Some of these students have even become Kyle’s volunteer team for moving furniture for other international students, instilling in them values of humility and service to others. A few have come to know the love of Jesus as a result of Kyle’s humble service, and one has even become Kyle’s roommate. Kyle is a servant leader in the truest sense. He doesn’t use his intellect to overpower or his status to dominate; instead, he humbly offers himself as a friend to do the kind of things friends do for friends: move their furniture.